Boxing world champion Anthony Joshua has been hit with a wave of shocking anti-Muslim abuse after tweeting a picture of himself praying in a mosque. The IBF heavyweight title holder took time out of his training to visit the religious building in Dubai, but was greeted with a torrent of criticism by so-called fans after sharing it online. Joshua, 27, is not a Muslim, and has previously said he doesn’t follow any religion, but rather has an interest in them. 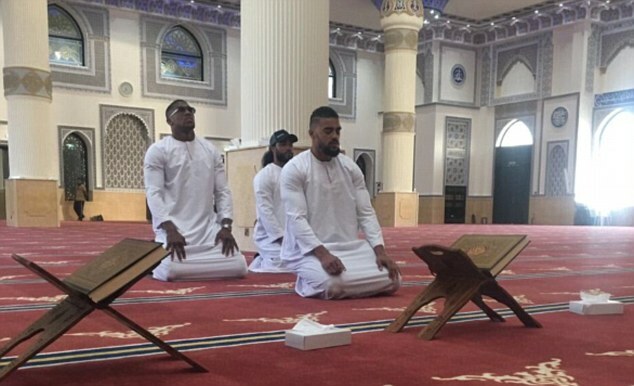 The British fighter tweeted a picture of him and two other men kneeling behind two copies of the Qoran inside a lavish looking Mosque in some rare downtime from training for his superfight with Wladimir Klitschko on April 29 at Wembley. It was accompanied with the caption: ‘Besides luck, hard work and talent – prayer is a solid foundation. The picture was then subjected to vitriolic comments from people who claimed to be fans of the London superstar. 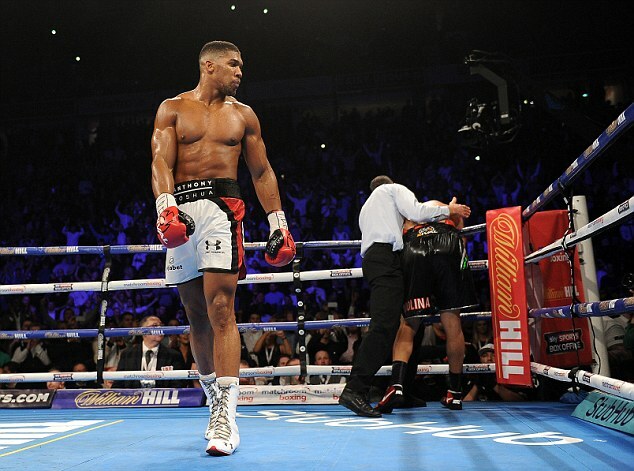 Mark Warren tweeted his disgust at the notion Joshua was a Muslim, declaring he was no longer a supporter or a fan. Users Lee Wooley and Matt C both said they would be supporting Klitchko, while a man calling himself Right Wing Roy said he would not watch Joshua fight again due to his tweet. A number of others shared the strange opinion, but many boxing fans stood up for the heavyweight. Naz Rashid said: ‘To all the people hating. 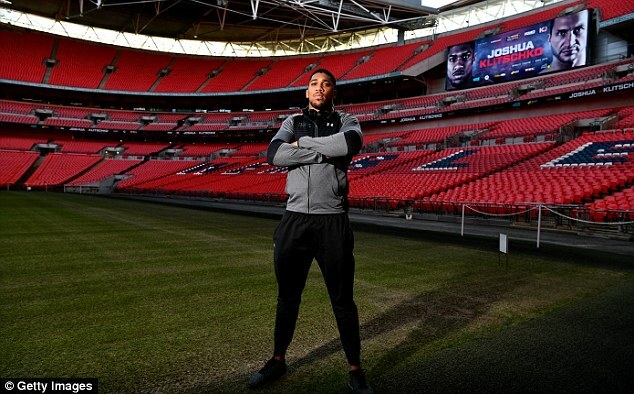 In an interview last year ahead of his bought with Dominic Breazeale, Joshua said: ‘Prayer is a method practised from ancient days, so it’s very important for us to maintain a spiritual connection, something that people, gladiators would do years ago, so we’re just maintaining that routine. ‘I’m not going to dig anyone for their beliefs or anything like that, but I definitely feel religion is a big part of life, whether you believe in it or not, in everyone’s day-to-day life religion’s a big part. ‘Prayer and so on, and beliefs, is definitely important to me. ‘I don’t have a preferred religion – I’d have to do research. ‘I was born a Christian but as I’ve grown into my own man I don’t attach myself to a religion – 100 per cent I have faith. 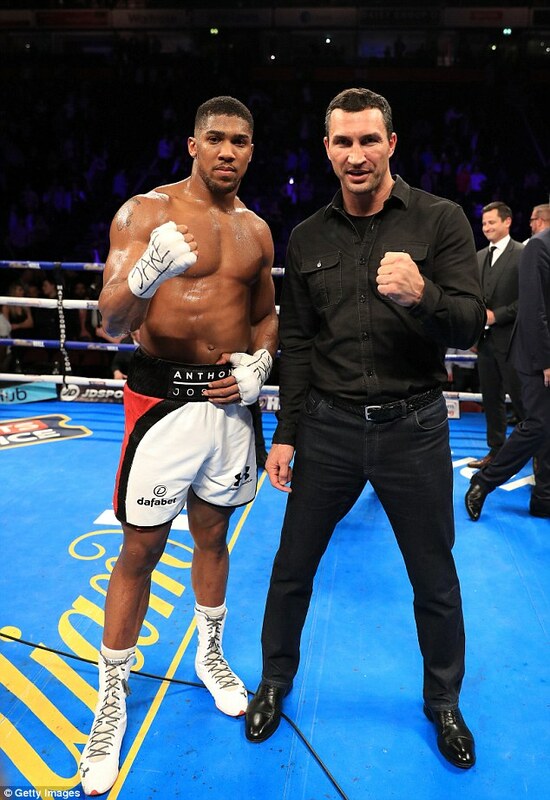 The thoughtful Joshua often dedicates time to educating himself through speaking to retired and more experienced fighters, and through watching their fights. He so far has resisted many of the trappings that have tempted other elite fighters, something that can perhaps be attributed to his determination to build knowledge beyond boxing and to ‘not lose touch’.